Thomas Murray, a resource economist, is the director of the marine extension program at Virginia Sea Grant, which is based at the Graduate School of Marine Science at the College of William and Mary. He is one of the primary organizers of the Working Waterways & Waterfronts National Symposium on Water Access, which took place Sept. 27-30 in Portland, Maine. The inaugural working waterfronts symposium took place in 2007 in Norfolk, Va.
Murray, 61, has practiced applied natural resource economic analysis for more than 30 years. He has served as principal investigator on more than 200 regional marine industry development projects in the Southeast. These projects involved a number of major development tasks, including marine industry sector studies; marine-related product and market development studies; and foreign and domestic marketing investigations. 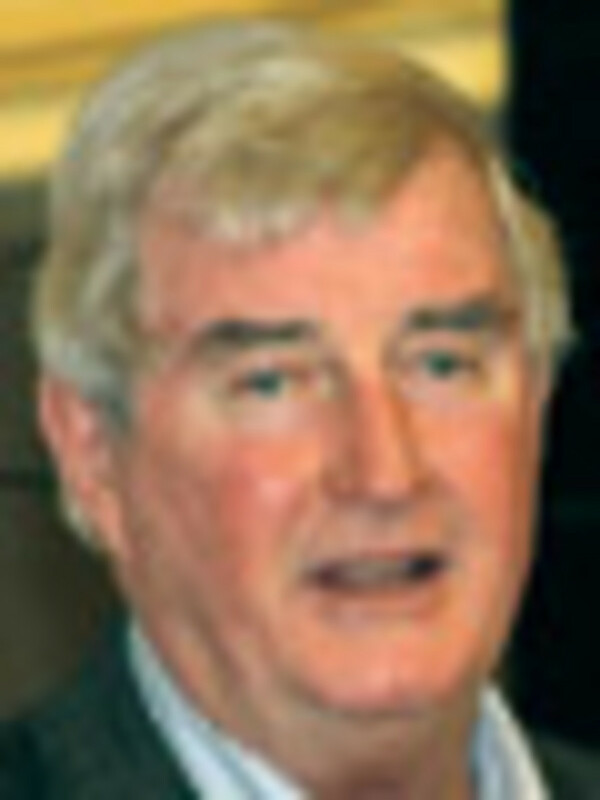 Murray has served on numerous national and state boards. He holds a faculty appointment in marine business and coastal economic development at the Virginia Institute of Marine Science&apos;s Graduate School of Marine Science at the College of William & Mary. He continues to hold an adjunct senior research associate faculty appointment in the School of Policy Studies at Georgia State University. He has conducted recreational boating research for dozens of marine industry clients, including the National Marine Manufacturers Association, the Marine Industries Association of South Florida and the Personal Watercraft Industry Association. He has published dozens of research papers and articles on boating access-related issues and other issues of interest to the boating industry. Murray holds a bachelor&apos;s degree in applied economics from Kenyon College in Ohio and a master&apos;s degree in applied economics from Clemson University. 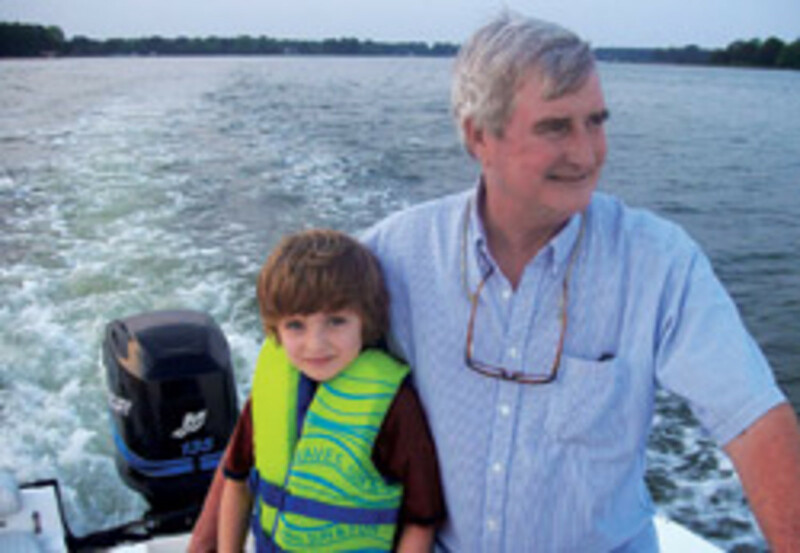 He lives in Matthews County, Va., on Chesapeake Bay, where he enjoys boating, fishing, raising oysters and crabbing. He and his wife, Susan, have been married for 36 years. Q: The last Working Waterways and Waterfronts Symposium took place in Norfolk, Va., in 2007. Why was there a three-year span between events? A: In the 2007 event we did a post-conference survey and asked a number of questions, one of which was, Should we do another one and how frequently should it be done and where should it be done? And kind of the consensus was that probably two years was appropriate [between conferences] and that Maine would be a really good venue. As it turns out, between &apos;07 and 2010, you know what&apos;s happened with the economy and also with a lot of budgets. ... There were a lot of people who could travel to Norfolk in 2007, but no longer could because of budgetary problems. So I think we spent more time in the organizational phase and that probably explains the additional year delay. There were a little over 200 people at the conference. ... It was a really good mix [of stakeholders]. We had people from every coastal state and Great Lakes state, we had five people from Hawaii, people from Alaska and a great diversity of people, too. There were industry folks, there were local mayors, local economic development people, a lot of coastal management people. It really was a great cross section. Q: In the three years since the last symposium, what advances have been made to preserve waterfront access? A: I think one of the milestones we reached in Norfolk was developing a good working definition, a consensus definition that could be used at the national level. There was legislation introduced based upon that. Currently, there&apos;s a bill that Rep. [Chellie] Pingree from Maine has sponsored - the Keep America&apos;s Waterfronts Working Act of 2009 - that will amend the Coastal Zone Management Act to create this working waterfront grants program. In anticipation of that, and in following up on the Senate side with Sen. [Susan] Collins&apos; bill, from Maine, a lot of the states have initiated their own planning and infrastructure reviews looking at working waterfronts - the existing facilities and clustering of critical services. So they&apos;re doing a lot of preparation for eventual passage and availability of grant funds. In addition to that, there have been a lot of individual states that have really developed their own funding mechanisms for working waterfronts and have also developed their own working waterfronts legislative initiatives. That includes North Carolina, Alabama, Virginia, Oregon, Maryland - just a whole host of states that have really done a lot since Norfolk. Q: The symposium brings together all shareholders in this issue - commercial and recreational boating and fishing groups, marina developers, state and federal government officials and more. Can you talk about why it&apos;s important for all stakeholders to work together? A: The real common thread in this whole initiative is economic development. It&apos;s about jobs, it&apos;s about tax base, it&apos;s about continuing industries and trades that have really defined a lot of the local communities, whether it be fishing or boating or charter-boat fishing. It&apos;s a broad-based constituency, but you need a broad-based constituency to do anything at the national level. 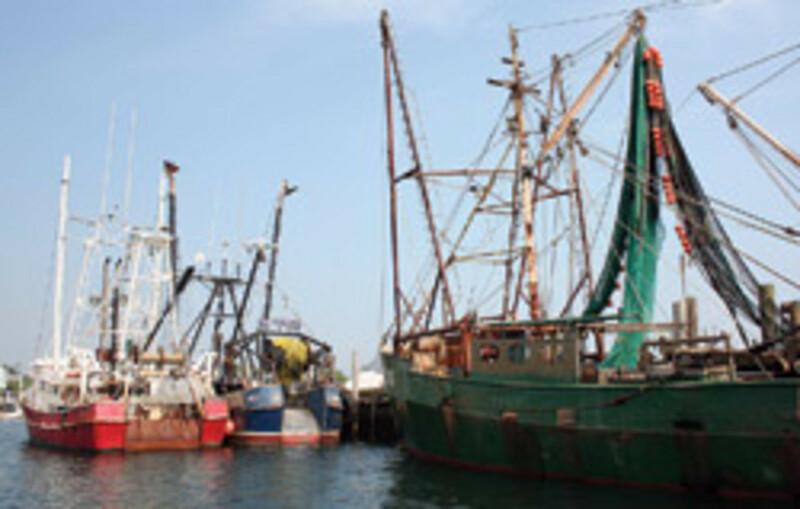 I think we saw early on there was potential legislation that was focused just on commercial fishing and that didn&apos;t garner the widespread support nationwide to really do federal legislation. Now, with the new definitions and inclusion, I think that broad-based shareholder support is evident and is absolutely critical. I think [communication among the shareholders] has improved by virtue of the networking that came out of Norfolk, the sharing that came out of Norfolk, and I think it&apos;s been stronger. In the face of the economic realities of the past couple of years, continuing this discussion in and of itself is a milestone. Q: In terms of recreational boating specifically, where do we stand with water access? Has the prolonged recession done anything to improve or further hurt access to the waterways? A: That&apos;s a tough one. Certainly [the recession] has dramatically impacted the earnings of all water-dependent businesses, particularly the recreational sector. Boating is based upon discretionary income, which has been severely declining in the past three years. I think there&apos;s been a hiatus almost on the conversion of recreational boating access to other, more restrictive uses, so that&apos;s been somewhat of a relief, if you will. But the whole boating industry has constricted in terms of the use by boaters and the sales of new boats. So I don&apos;t think the issue&apos;s gone away. I don&apos;t think access has been the limiting factor the last couple of years, as much as the economic reality. I think invariably [access] will become more of a concern again as [economic conditions improve]. These waterfront properties are very scarce in terms of the adequate access and they have a great deal of attraction to various uses, not all of which provide access to the boating public and the fishing public. Q: Has the Gulf oil spill had an impact on the access issue, or will it in the future? Was this discussed at the symposium? A: The symposium material, the presentations and the structuring all took place before the spill in April. We did have a number of people from the Gulf [attend] and we ended up putting together a special luncheon roundtable with them that wasn&apos;t planned previously. They basically confirmed that the two industries in the Gulf - recreational and commercial fishing and oil - right now, neither one of them have worked very much. There&apos;s probably one in five people in the fishing and boating community that were back to work as a result of the spill. So, locally, it&apos;s had a huge impact. Coming out of that, I think there&apos;s a message that there&apos;s going to be a lot of diversification of economic structure in the Gulf within the water-dependent industries, a lot of retraining of the work force along the Gulf to not only diversify, but prepare to deal with the effects of disasters for years to come. They were coming out of the hurricanes in Norfolk, and now this. I think the water-dependent industries are going through a restructuring. There will be a lot of public investment in the infrastructure there. By virtue of the liability, the damage is going to be paid by various interests. So I think, in the long run, it could actually come to help access. Q: Can you give examples of some recent projects or efforts on the state level that showcase progress on this issue? A: There are a lot of local organizations and other groups taking a grassroots approach to increase the visibility of the working waterfronts. People in North Carolina and the Outer Banks established a Hatteras connection project - a series of events and activities to bring local fishermen in contact with their communities and tourists in those areas. The state of Maine - we had a report from them - they actually signed development covenants on 59 parcels of working waterfront in that state to protect them in their current use in perpetuity. Some states are working together to start looking at ecosystem-based management approaches. Washington, California and Oregon bound together to create the West Coast Governors Agreement on Ocean Health, and will set up groups to look at a variety of issues, including climate-change effects, pollution, renewable energy and working waterfronts. There are broader regional agreements, too - the West Coast Governors Agreement on Ocean Health will set up groups to look at a variety of issues, including working waterfronts and pollution, renewable energy and that type of thing. I think the so-called "Maine Model," where they developed their working waterfronts initiative, is being replicated in Maryland, Alabama, Louisiana, Texas, Oregon. We in Virginia have worked hard to broaden our working waterfronts efforts. We&apos;re working closely with our coastal program, which is a NOAA-funded program, to develop the inventories of critical working waterfronts in Virginia. We have an institution that&apos;s been created by the legislature that&apos;s called the Public Access Authority, which provides local communities with the fiscal support and coordination to go in and try and secure critical working waterfronts, both recreational and commercial. I think access is still at the forefront of people&apos;s minds. You look at the support we have from people in the recreational industry - the National Marine Manufacturers Association, BoatU.S., the Recreational Boating & Fishing Foundation, the States Organization for Boating Access - they all continue to see access as a top priority for their constituents, so that&apos;s important. Q: You previously mentioned some proposed federal legislation on this issue. Is anything else going on at the federal level? A: Coming out of this, one thing that has grown is this two-pronged approach to the issue nationwide. One prong is research and visioning and data collection and analysis. We&apos;ve agreed that the national Sea Grant program, in our 32 state universities, should really take the lead on that and maintain what we&apos;ve done in many of our states. Parallel to that has got to be a government relations effort that supplements a lot of the hard work that BoatU.S. and NMMA have done. There&apos;s a new coalition, which was actually agreed to in Portland ... which is going to bring this issue more cohesively through Washington and, on the parallel track, the university system that will continue to provide information needed to do these working waterfront plans and to feed into the national agenda. I think that&apos;s a big advance. After Norfolk we had a coalition, but it was rather a loosely held coalition. This event in Portland kind of formalized that. Q: Are there plans for another symposium? A: Everybody there expressed an interest in continuing this type of thing. Every two years seems to make sense. I strongly expect there&apos;ll be a call for another event in two years. The location will, of course, be determined by a number of factors, but there&apos;s a feeling that maybe the West Coast needs to host the next one. Q: What would you hope to accomplish on this issue in the next 10 years or so? A: I think moving ahead with the national legislation is an important goal. There&apos;s several acts in Congress that would help local groups, such as the bill to reauthorize CZMA. I think also the sharing of tools, including a clearinghouse of successful models that local communities can go to learn what&apos;s worked in other areas. We&apos;ve done some of that, but really formalizing that through our Sea Grant system would be good. This whole idea of marine spatial planning is moving forward in a lot of states and we need to make sure working waterfronts is inserted in all that spatial planning processes. The battle&apos;s going to be ongoing, but there&apos;s plenty of state groups and individuals who have a vested interest in working waterfronts, so I&apos;m optimistic we can have these things in place in the next 10 years.